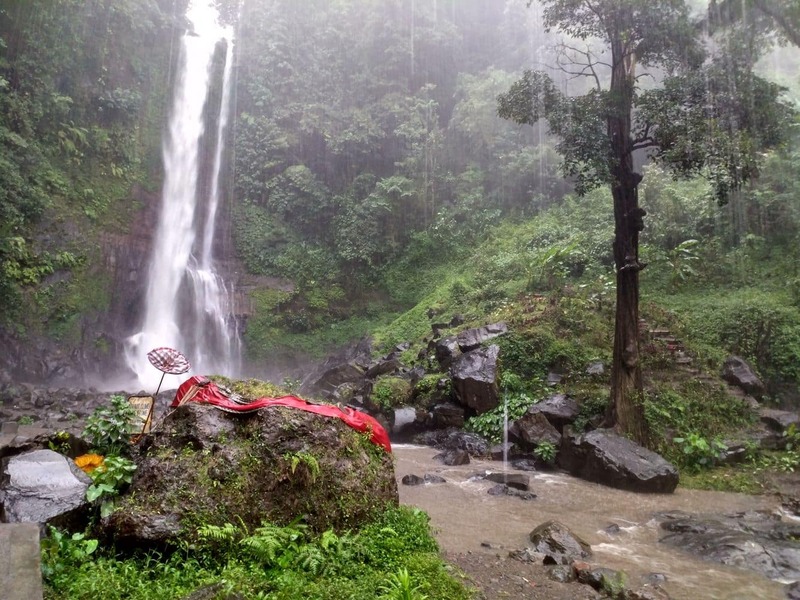 Gitgit Waterfall, conveniently located in the North of Bali, is one of the most beautiful natural attractions on the island. One of the things that sets this waterfall apart from the rest is the fact that it is set in a plateau region, and it reaches about 115 feet. This setting, surrounded by verdant tropical landscapes makes the waterfall a must-visit attraction during your stay in Bali. The sound of water as it rushes to collect at the bottom pool, coupled with the enchanting tropical paradise endears the natural attraction to visitors from all over the world. In addition to the natural beauty, visitors will also notice the conservation efforts made to preserve the area around the waterfall for generations to come. 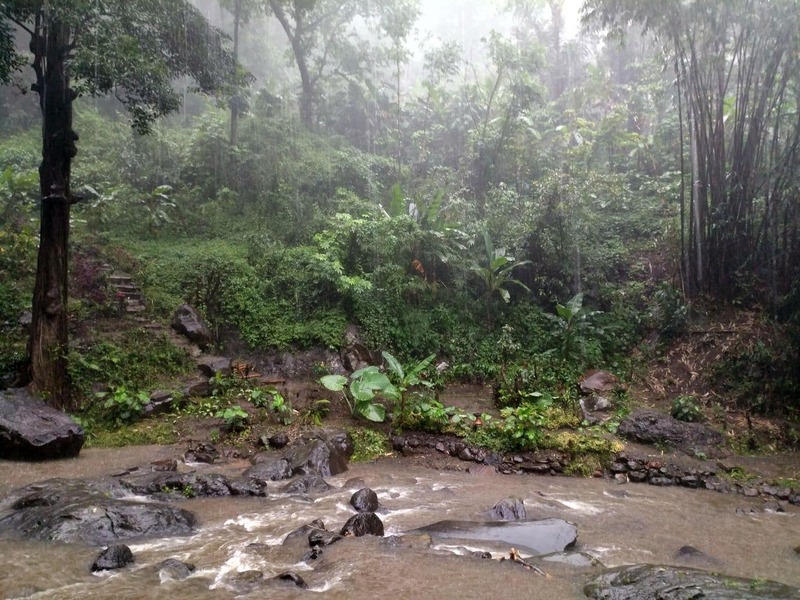 While visiting here, you may be lucky enough to catch a glimpse of the wild monkeys that inhabit this area. Keep a close eye on the banks of the river as the monkeys often come here to drink. Upon arrival at the waterfall, you will notice ample parking space, a souvenir shop that stocks interesting pieces of art as well as a restaurant where you can grab something to eat. 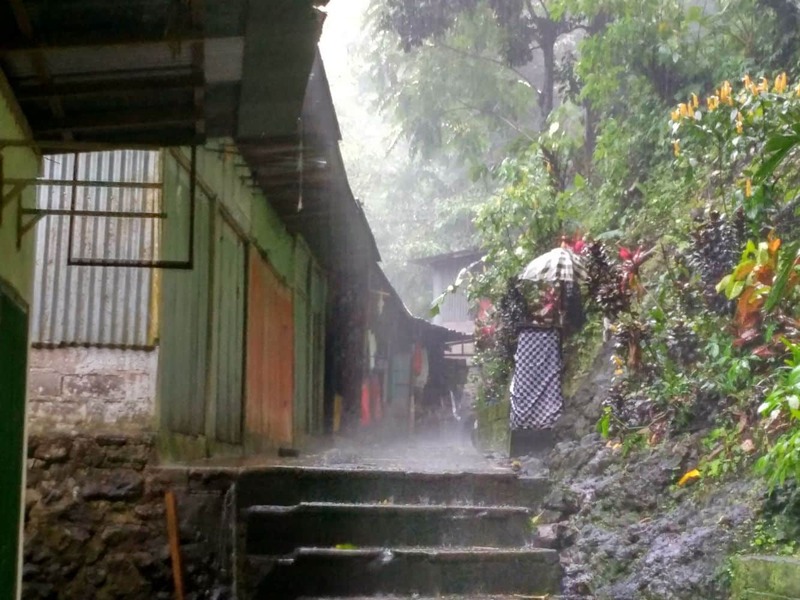 The walk to the falls is relatively easy as there are wooden boardwalks over a small gorges and small streams. The route down to the waterfall is a only around a 10 minute walk with a few steps, but the track is signposted and easily to follow. The terrain is a little bumpy in sections, but the walk is short and under cover of shade. 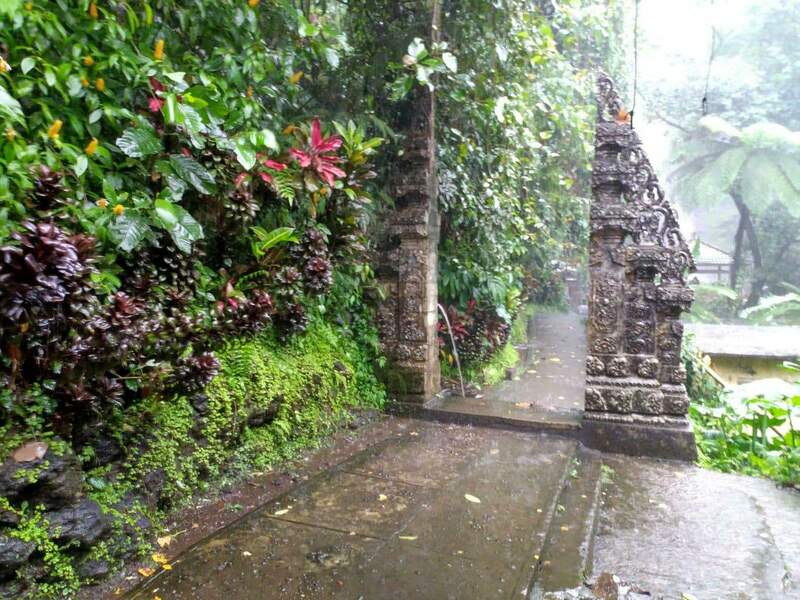 To get to Gitgit Waterfall, travel around 70kms from Denpasar to Gitgit Village, Sukasada District. 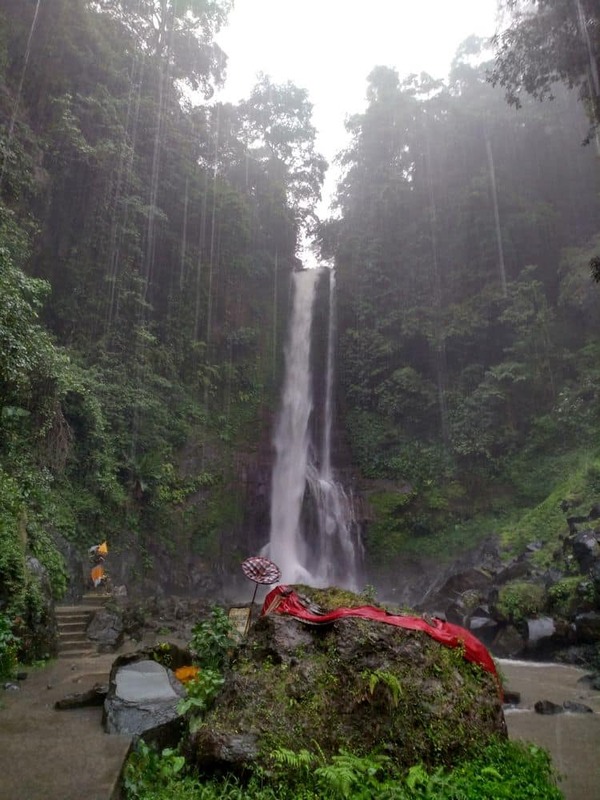 The entrance fee is between 10,000 – 20,000 IDR and visitors are welcome to swim at the base of the falls. Please be aware of any guides offering tours down to the waterfalls. Not only is their service completely unnecessary since you can follow the path and pay for the tickets yourself (see the picture of the ticket booth below), but their prices are ridiculously inflated. The entry prices for adults is only 20,000 IDR and a child ticket is 10,000 IDR, so any differences to these prices is likely a scam. Please be aware of any 'guides' offering tours down to the waterfalls. These are likely a scam and will result in vastly inflated prices for entry. Only buy tickets from the official ticket booth on the way down to the falls. We were absolutely ripped off at Gitgit Falls today by one of the ‘volunteer’ guides who hang out near the parking area (a skinny little guy called Made) and the entrance fee guy. We were charged 300,000 Rph each! Instead of what I now see should have been 20,000 Rph. They said it was to support the local school and community but just lining their own pockets I think. As we had travelled all the way up there to see the falls we had to go in. There were no signs stating what the fee was and they had a ticket book and a stamp with 300,000 Rph, giving the impression of being official. So begrudgingly we paid it. Looking at the receipt now it doesn’t have ‘Git Git Falls’ on it; it’s just something printed up to support their scam. Even when challenged three times about it, the guide didn’t flinch, and also wanted a tip at the end! We’ve read lots of complaints about this on Trip Advisor since and nothing has been done about it – Bali Travel Hub? We will call the Bali Tourist Office, if there is one. You don’t even need a guide, just follow the paths. 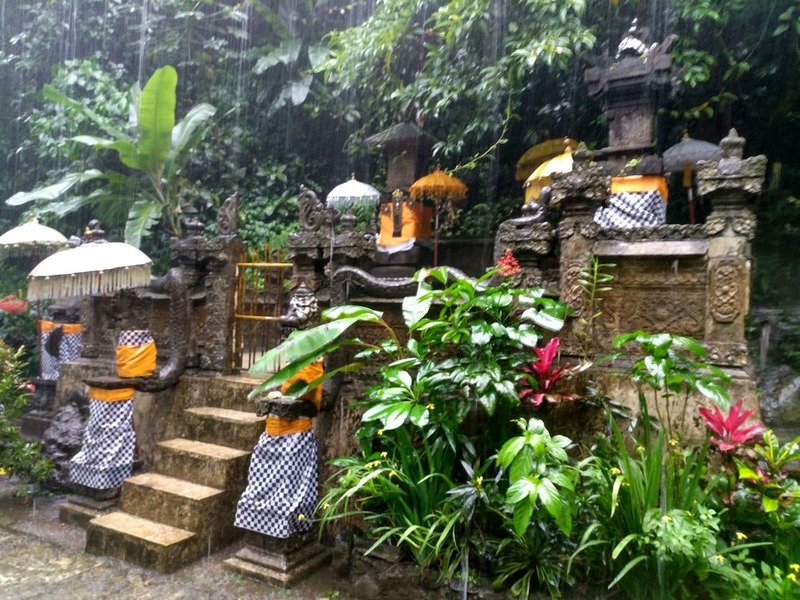 We should have done more research before we left Ubud. I am so sorry to hear you had this experience. Be that there is really limited information and a lack of any type of official website, the only source of information online is websites like mine and other travel forums – usually riddled with nightmare stories like your own. 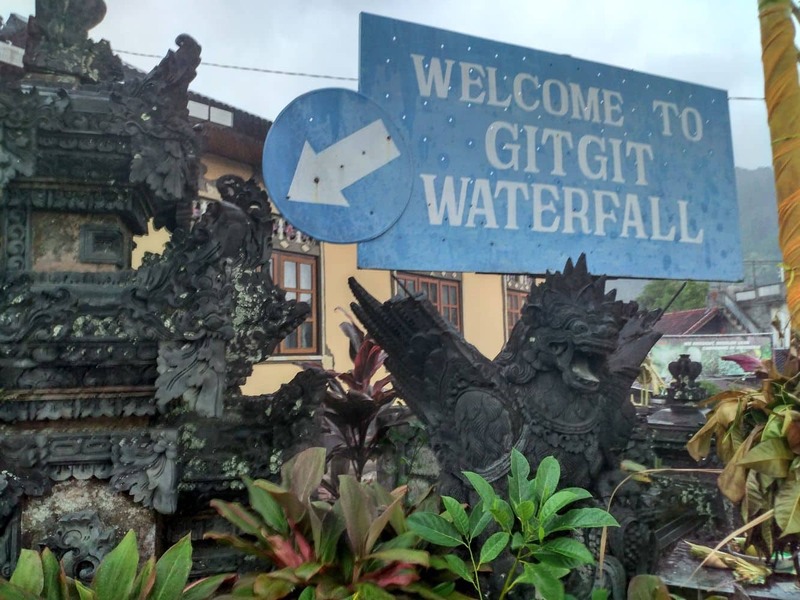 Unfortunately, we are not representatives of the waterfalls or have any connection to the Bali / Indonesian government, so our power to do anything is limited. I will however add a warning to our page to warn future visitors of this type of activity. I personally visited the waterfalls last October on a private tour, but lucky for me it was raining extremely heavily, so there was no one around to try this scam. I do recall reading something about about unofficial guides trying to charge to enter the waterfalls, but I was unchallenged and found the ticket booth along the path (i purposely took photos to show the pricing and what the booth looks like). 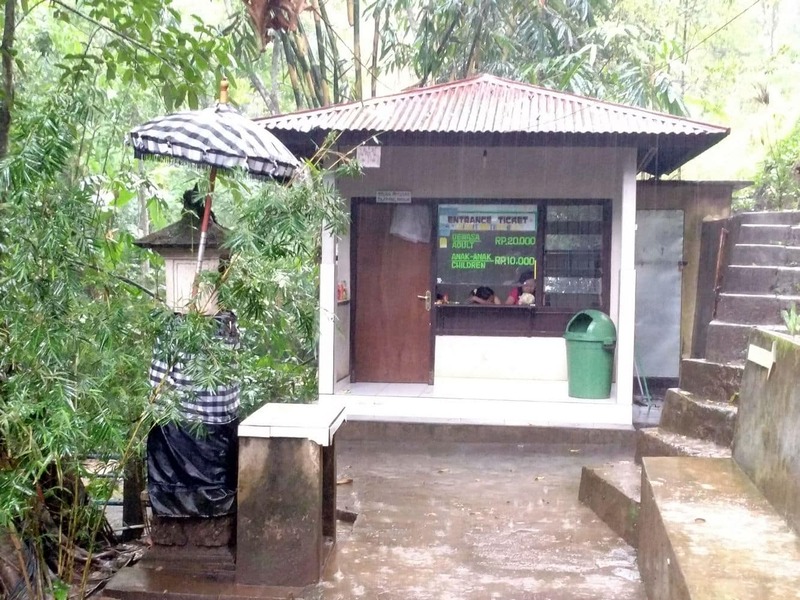 Unfortunately, this is a common occurrence on Bali at the different temples (specifically Besakih Temple and Uluwatu Temple), and pretty much around South-East Asia in countries like Thailand, Cambodia & Vietnam. It’s been going on for the years and since the local authorities seem turn a blind eye to protecting tourists from these scams, really the only thing we can do as a collective is to educate future visitors, so help prevent it happening again. Again, i’m sorry to hear of this happening and i know it can have a bit impact on your holiday and a long lasting impression of the place. How can I buy tickets online or do just buy at the attraction sites? 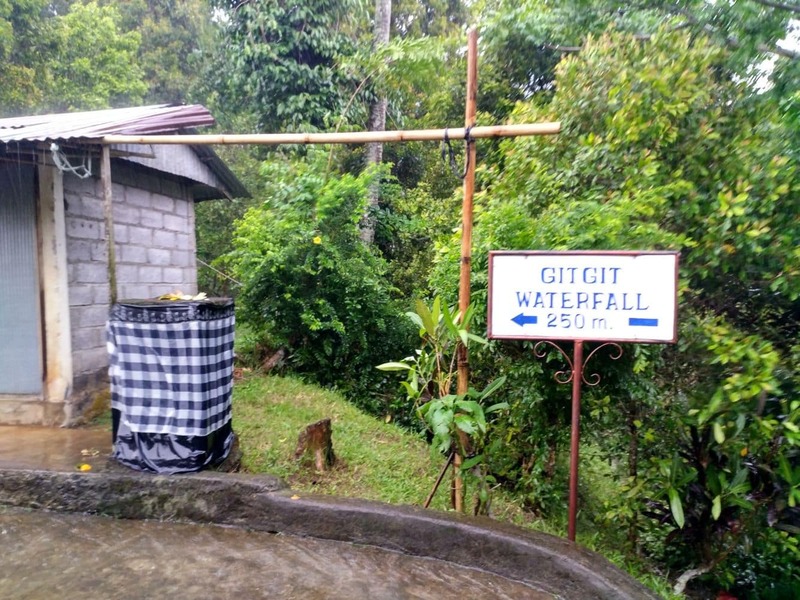 You can book a tour to the Gitgit Waterfall online here.